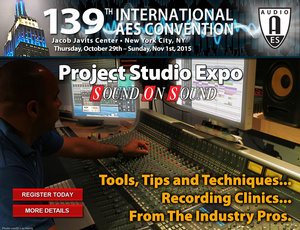 If it’s about audio, it’s at AES, and the 139th AES International Convention, October 29 – November 1, 2015, at the Jacob Javits Center in New York City, will once again host the widely-popular Project Studio Expo (PSE) on the main exhibition floor. Taking place October 30, 31, and November 1 on the PSE Stage, the Project Studio Expo has announced an in-depth schedule of presentations covering fundamentals, as well as the latest tools and techniques, for working in personal and project studio environments. 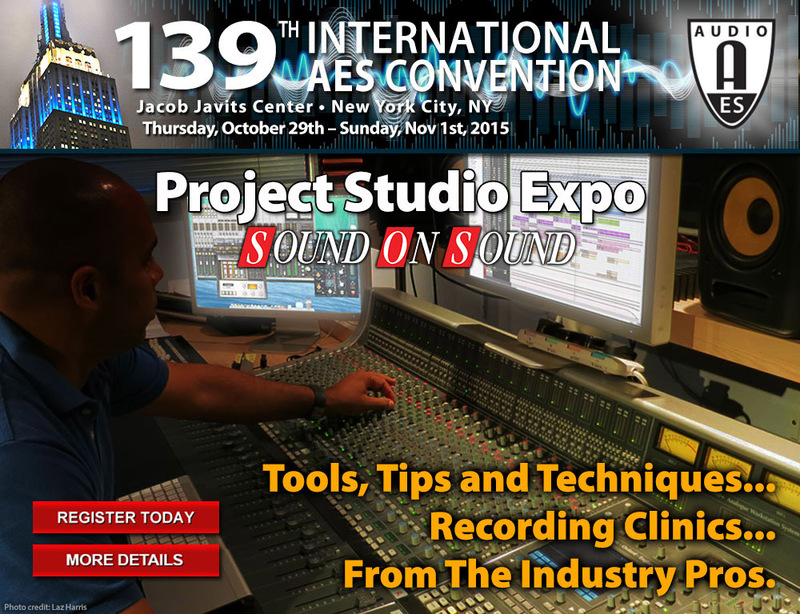 All PSE events are open AES139 attendees with either a FREE Exhibits-Plus or Premium All Access badge. Day three of the Project Studio Expo brings premier sponsor Prism Sound to the PSE stage for the latest installment of their Mic to Monitor educational events, which aim to dispel many of the myths surrounding the recording process, and to answer questions such as what makes great gear “great,” what it takes to become a successful audio engineer, and how professionals tackle different aspects of their productions to create hit records. Among the speakers presenting will be Ian Dennis, Prism Sound's Technical Director; Leif Masses, founder of Maselec; Ben Lilly, Technical Sales and Applications Engineer at ATC; and Glenn Kuras. President of Gik Acoustics. The 200-seat Project Studio Expo is located on the main exhibition floor next to the exhibits and is open to all convention attendees. The presentations, which last approximately 45 minutes and are free to attend with Exhibits-Plus pre-registration, are delivered via headphones so that show floor noise doesn't interfere with the seminar experience, and to encourage opportunities for questions and interactive demonstrations.